Well, spinsters, tomorrow is Valentine's Day, and instead if inundating you with more Valentine's Day stuff, I'm just going to show you a few pictures. Mostly I'm doing this because I've been walking and walking and taking photos and shopping for the past two days, and I couldn't possibly think of anything spinsterly to say right now other than that I had no idea how much I missed New York. This place is pretty darn cool. I've made the incredibly obvious discovery that I gained weight when I moved to Atlanta because I walked everywhere when I lived here. I walked easily three to four times as much in New York on a daily basis as I do in Atlanta. Perhaps I should install a treadmill at my desk at work? I'll think about it. The main thing is that walking here isn't really exercise. It's transportation. Now onto the imagery. The first image here is from the Flatiron J.Crew. 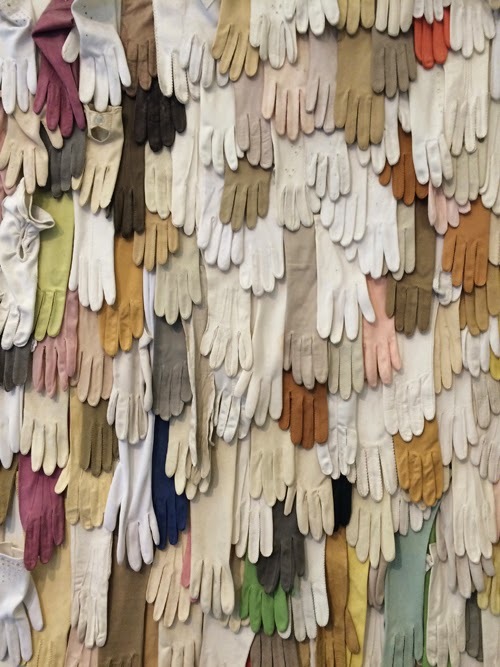 I just liked the thought of a frame full of gloves. The installment is much larger than just this little swatch of it, but this image was the coolest. 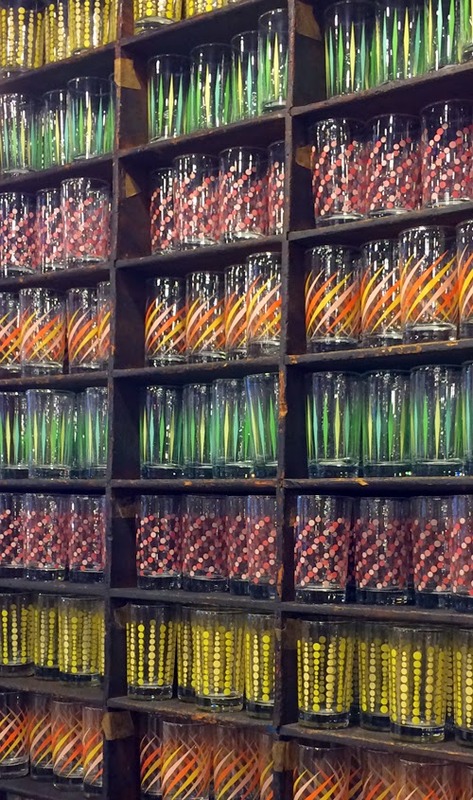 Next here's a picture of a bunch of glasses at Fish's Eddy. I suppose the theme of today's images is "a whole bunch of the same thing." I liked the colors and patterns here. Very cool. I'll take two of each, thank you. 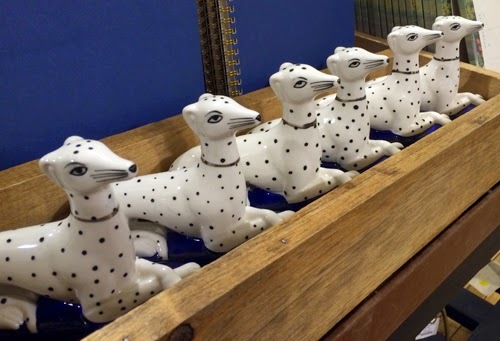 Lastly, there were a bunch of little dog figurines/statues at Anthropologie all in a row. I liked these little dogs, but I think I'd like them even more if they were cookie jars. Don't forget that tomorrow is Valentine's Day. If your'e spinstering, remember that heart shaped pizzas are available, and you can always buy yourself a heart shaped box of candy. Also, get some flowers. You deserve them.